There are many rare breeds around the world. Some are rare in the United States only because not many dogs have been imported. My interest was piqued when I discovered how many rare breeds were developed and are still being developed in the US. Most are not recognized by the American Kennel Club although some, like the Chinook, have been recently admitted to the AKC but are still quite rare and not well-known outside of their local area. These are just a few of the rare dog breeds that you can find in the US. The Blue Lacy was named after the brothers responsible for the breed - Frank, George, Ewin, and Harry Lacy. The Lacy family moved from Kentucky to Burnett County, Texas in 1858 and brought some dogs thought to be the foundation stock of the breed with them. They developed the breed now known as Lacy dogs or Blue Lacys, the only breed originating from Texas. The dogs are strong and fast, used for herding cattle and hogs and for hunting. Helen Lacy Gibbs, granddaughter of George Lacy, said in interviews, that the dogs helped them survive the depression by rounding up the free-ranging hogs so that they could sell them. Although often called Blue Lacys, they come in three basic colors, red, blue, and tri color. They can also have white on chest. They were reputed to be a cross between a hound, (some say sight hound) and wolf or coyote. They were never kept as pets. They were always working dogs and bred especially to be able to work in high heat. They are a high drive dog, intense and active with exceptional jumping ability. The Catahoula Leopard dog also called the Catahoula Cur is another breed developed in the US for hunting and herding cattle. 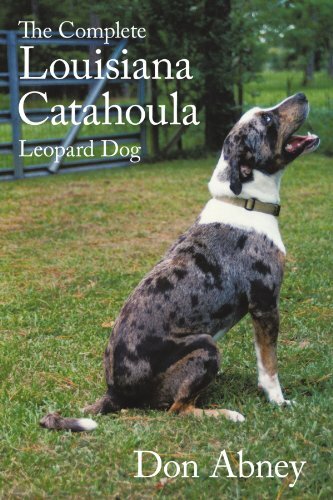 They are named after the Catahoula Paris in Louisiana and are the state dog of Louisiana. They are thought to be the first breed created in the US. 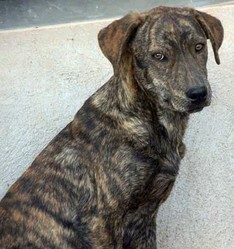 Both the Catahoula and the Lacy are considered Cur breeds. Curs are dogs that were bred for a purpose rather than for looks. In some cases, it is a type rather than a breed, but in some cases, a true breed has been developed. Curs often were used for hunting and herding cattle. The Carolina dog is is a fascinating breed found in the wild in southern Carolina. They are a true landrace breed -that is they developed on their own, not by humans. They are very similar to other landrace breeds, most notably the Dingoes in Australia and the New Guinea Singing Dogs. I have written more on this unusual dog. 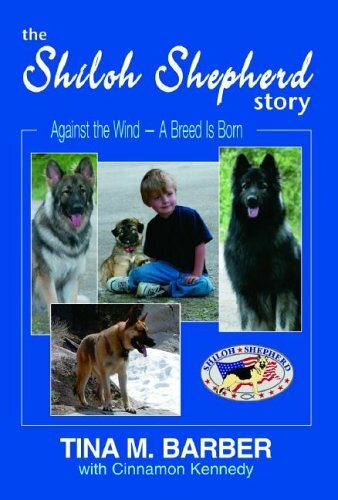 The Shiloh Shepherd is a breed of herding dog that is still under development since their creation in the 1960s and 70s. It is an attempt to preserve the old style of German Shepherd Dog with a straighter back than the modern show German shepherds. They are not recognized by any registry at this time other than their own breed club but can be shown in the rare breeds class.They are used for herding, as therapy dogs, assistance and compete in obedience and agility. The Chinook, the state dog of New Hampshire, is descended from one famous sled dog named Chinook born in New Hampshire in 1917. His father was a mastiff type dog and the mother was a Greenland husky. 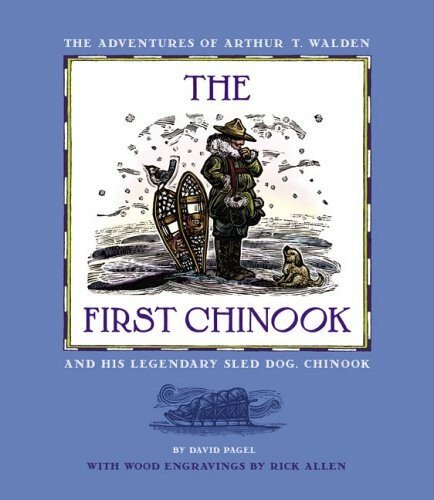 His owner, Arthur Walden bred many other breeds of dogs to Chinook to produce the type of sled dog he wanted. 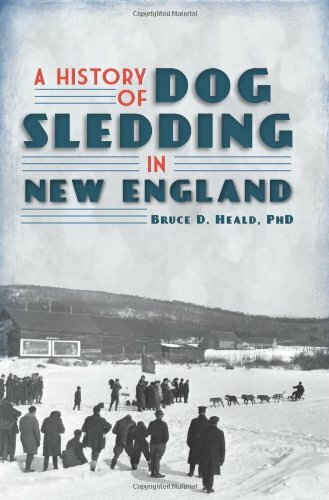 Chinook was the lead dog when the first team to climb Mount Washington reached the summit. Walden was appointed lead driver and dog trainer for Admiral Byrd’s Antarctic Expedition in 1929. Walden and his single team of 13 dogs moved supplies weighing 3500 pounds, from ship to base, a distance of 16 miles each trip, in two journeys. In 1981 the number of breedable Chinooks had dwindled to 11. Several notable people took up the cause of saving this breed. You can find more about them at chinook.org. There are many rare dog breeds in the US and in the world. Some are on the verge of extinction. Some are still in the stages of creation. Rare dogs can be very unique and have special requirements. Be sure to research a rare breed carefully before deciding on one for a pet. You're right. There are a lot that people haven't heard of. I was focusing on those that aren't recognized by the AKC. You wouldn't see them at a dog show if you were browsing around. Rat terriers are pretty common in my circle. You might want to add the Rat Terrier, American Water Spaniel and Boykin Spaniel. Most people haven't heard of them, either. They are interesting, aren't they. I'd like to meet one in person. The blue ones can be really dark, almost black. She was black. I think she was quite multibreed. It's funny to look back and think about the dogs we used to live with. Was she blue or red? I think we had a lacy dog without knowing it. And she did jump up on the kitchen counter (we had to bring her in when it rained outside as she would howl and howl away). And climb over the fence as if she was a monkey - and that was after we added more height to the fence and gate - if it wasn't roofed, she'd climb out. Our husky followed suit after a few attempts and you should have seen the German Shepherd try to go after them. I wished there was a circus I could give her to. In the end, we gave her to a farm where she could run wild. She was very affectionate and we were sad to see her go. Thanks. I am fascinated by different breeds and what they were bred for. Interesting article, Ragtimelil. It's fun to hear about some of these rare breeds. And I agree that the strange eye colors are fascinating to see. In 1970 Dr Lehr J. Brisbin discovered wild dogs living in the uninhabited forests of South Carolina. He had discovered what is called the American Dingo or the Carolina Dog.